This memorial website was created in memory of our loved one, William Douglas Ireland, 67, born on March 31, 1946 and passed away on October 26, 2013. Where William Douglas Ireland is buried? Locate the grave of William Douglas Ireland. How William Douglas Ireland died? How to find family and friends of William Douglas Ireland? What can I do for William Douglas Ireland? 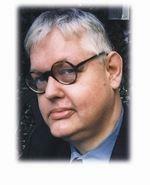 William Douglas Ireland was an American journalist and blogger who wrote about politics, power, media, and LGBT issues. He was the U.S. correspondent for the French political-investigative weekly Bakchich, for which he also wrote a weekly column, and he was also the Contributing Editor for International Affairs of Gay City News. Scott Tucker has called him "not only a left-wing critic of sexual and political conformism among sectors of the lesbian, gay, bisexual and transgender movements, but ... also one of the notable public intellectuals of the civil libertarian left." Note: Do you have a family photo of William Douglas Ireland? Consider uploading your photo of William Douglas Ireland so that your pictures are included in William Douglas Ireland's genealogy, family trees & family history records. Sysoon enables anyone to create a free online tribute for a much loved relative or friend who has passed away. Address and location of William Douglas Ireland which have been published. Click on the address to view a map. William Douglas Ireland was born in United States. 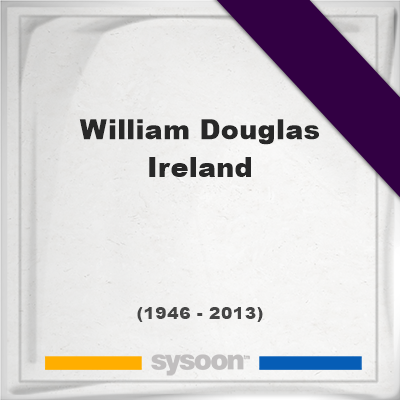 William Douglas Ireland died in United States.